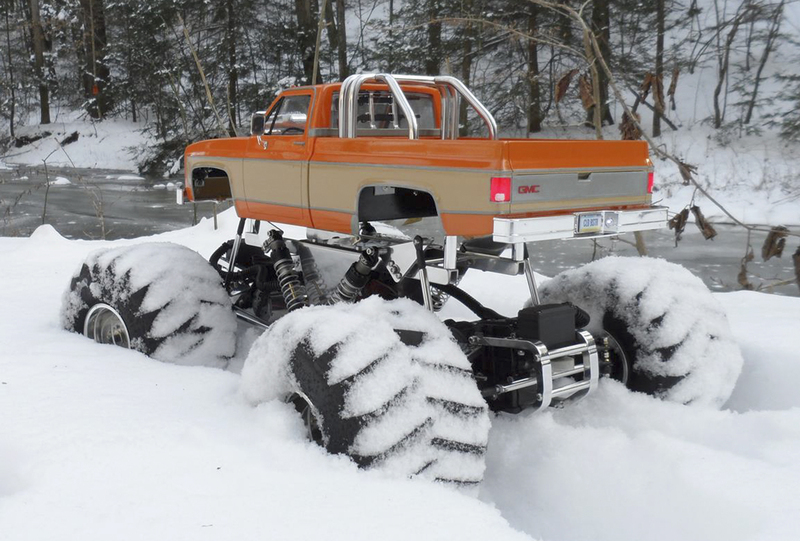 Sunbury PA’s Dave Stellfox doesn’t let cold weather get him down–he gets building! 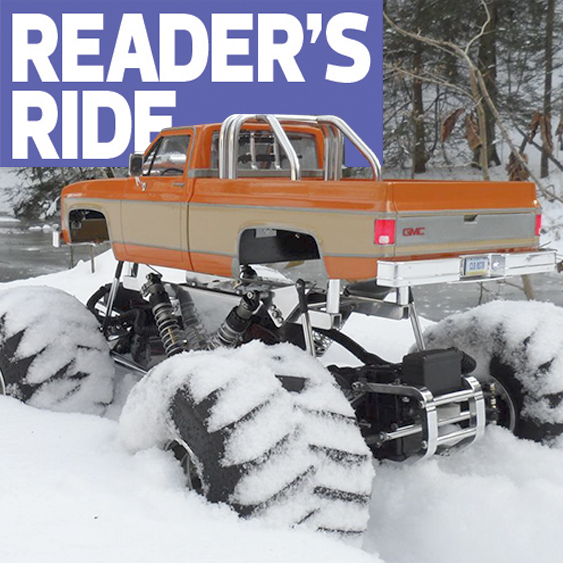 Over the past winter, Dave created this custom 1980 GMC Sierra Grande based on a custom Tamiya Clod Buster with an ESP Clodzilla 4 chassis and suspension kit installed. Grip comes from RC4WD B&H tires and the steering has been enhanced with Crawford Performance Engineering servo mounts and steering links. 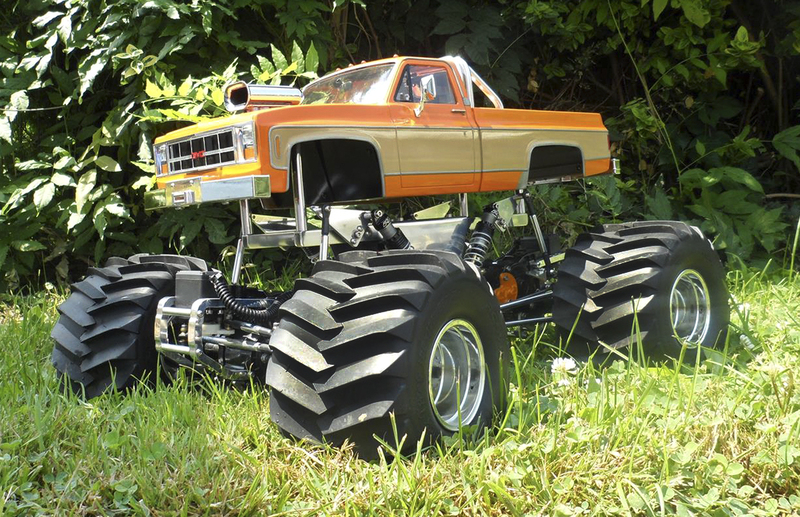 Also used are Pro-Line Power Stroke shocks and ESP wheel wideners to enhance the truck’s stability. 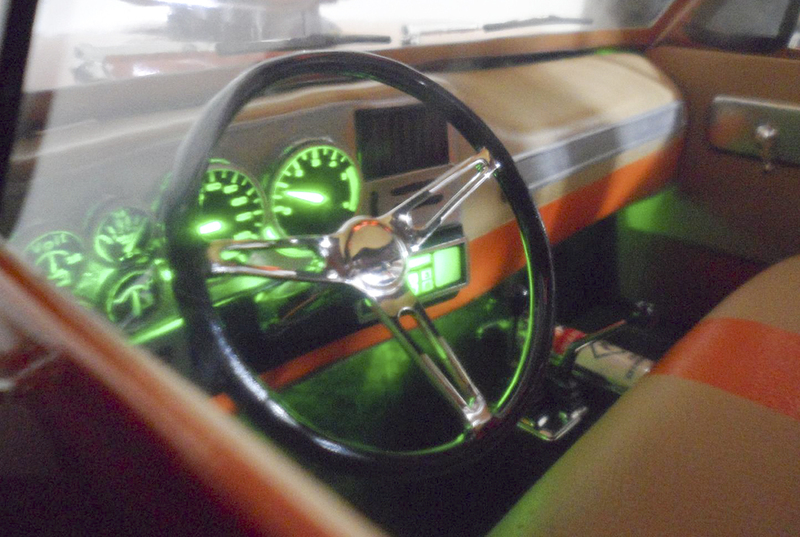 The body is the real star here and it’s packed full of features that include lights, custom GMC grille, illuminated interior, roll cage and a great-looking scale paint job. David stellfox your talent for detail is more than words can express a real masterpiece!